Krashen stresses yet again that speaking in the target language does not result in language acquisition. Although speaking can indirectly assist in language acquisition, the ability to speak is not the cause of language learning or acquisition. Instead, comprehensible output is the result of language acquisition. The article includes no evidence that roleplay helps students to develop fluency, although it does suggest ways in which it might “indirectly assist in language acquisition”. Indeed, Bray admits that “students must have adequate language ability to be successful with role-play”. Even her post low-intermediate students “needed considerable input in terms of language and ideas”. This would seem to indicate that, in order to do these roleplays, students already need to have acquired a certain fluency, which undermines Bray’s claim, but supports Krashen’s view (see above). Finally, successful roleplays can transform the atmosphere of the classroom into a more fun and exciting place where anything can happen and probably will. Now, I’m not against fun and excitement. However, teachers need to be clear on what their purposes and their priorities are, lest we fall into the trap of becoming illusionists. And we are still left with the problem of how to develop our students’ fluency. I am reading everything I can find about TPRS. I recently got Blaine Ray‘s Fluency Through TPR Storytelling, and have been reading it each night until I fall asleep. Today, I got hooked on Ben Slavic’s page. Yesterday, I downloaded all the handouts, docs, posters, everything that wasn’t nailed down. I spent the early hours of this morning reading them until I fell asleep. I’m doing the same today. I want to credit AJ Hoge for turning me onto TPRS. He mentioned it on an old blog he had years ago, when he was teaching English in a university in Thailand, I believe. He wrote a bit more about it after he returned to the States. I didn’t investigate at the time. It was only when I happened across AJ’s most recent site that I felt an urge to find out more about this method. What prompted me to do so was a few things that AJ said in a video or somewhere on his blog. They were very similar to what Ben Slavic wrote here: Professionally sad. This blog started as a log of my attempts to introduce my students to the joys of autonomous i.e. self-directed language-learning. Basically, it’s the story of one failure after another since I started in 2005. 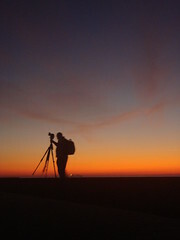 This blog ground to a halt in October 2007: I’d run out of steam, of ideas. I’d run into a wall. I resurrected it in October 2009, mainly to learn how to import a Blogger blog into WordPress and to give autonblogger it’s own domain. I’ll blog about new directions I’m taking in teaching English, which may take me away from “autonomy” or self-directed learning, but I’m keeping the “Autonoblogger” name ‘cos I like it. A couple of years ago, I began exploring something called The Immediate Method. Not a quick way to get pregnant, but an EFL approach developed by French teachers in Japan to have their students start using new structures and vocab as soon as possible by “testing” them almost immediately, i.e. by having conversations with students on themes or topics that involve using the structures and vocab that were introduced earlier in that lesson. Having conversations with students is fun: I get to know them a little more personally. Students also enjoy talking to me personally – it’s one reason why they take an “Oral English” class (the other reason is because the class is compulsory!). But. My students weren’t improving. They were not becoming more fluent. They were not developing confidence in their speaking. 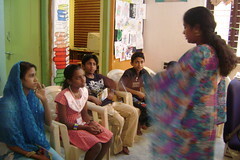 Some of them were not practising the structures and vocab enough (or at all). While I was having conversations with students, I was not “teaching” them or monitoring them. Although I did assign them work to do (“Write your own conversation based on the model in the textbook, and practice it”; “If you’ve finished your conversation test, do the grammar exercises on page….”), some did not do it. I just re-discovered teachers.tv, a British website (and actual TV programme?) that hosts a host of information about teachers and teaching in British schools. Obviously most of the content is going to be of more interest to people who actually live and teach in Britain, than to people who don’t (like me), but I enjoyed this 45-minute video by children’s author Michael Rosen from the programme School Matters on the subject of phonics and the teaching of reading. Apparently, phonics is now the British government’s official teaching-to-read method. 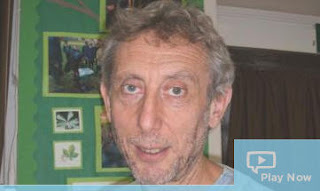 Michael Rosen, though, is in the “whole word” camp. He visits a number of schools and interviews different people, teachers and researchers and people in government. It’s a very well made video. Rosen’s purpose is to examine whether phonics and testing stifles children’s (and teacher’s) creativity. I don’t think the whole-word argument is convincingly made in this video, and certainly the question of whether it really is an either-or argument goes begging through the entire 45 minutes. Equally unasked is the question of why the government needs to decide on a single approach at all, and then mandate that for the whole country. Author Michael Rosen questions whether the current political enthusiasm for synthetic phonics, designated literacy hours, and league tables is turning off young readers. Rosen examines the evidence for claims that these devices have led to higher literacy standards, and finds it wanting. Unlike many critics, he suggests ways of encouraging reading, and he’s not afraid of advocating poetry, often one of the most difficult and frightening tasks facing both teachers and their classes. In his journey to discovering ways of improving literacy Rosen hears from heads, literacy experts, teachers and academics and even Jim Rose; the man whom he holds principally responsible for the imposition of synthetic phonics throughout the land.